is this actually happening? who calls 12 times in a row and then hangs up after only 5 secs…. I’ve quite a list of inappropriate words I’d like to throw at their heads right now. This number is calling me for 4 weeks now. When I answered there’s no one in the line. Can somebody help? This number appeared on my phone and I called it back. It turned out as an outbound call centre for insurances. 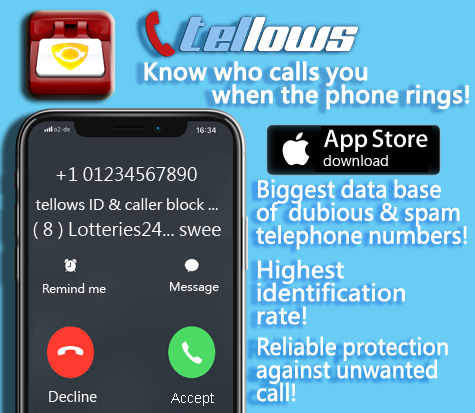 To help others distinguish whether a telephone number is trustworthy or not, please don’t hesistate to share any information on numbers familiar to you with the tellows community. Have a great and hopefully nuisance call-free weekend! 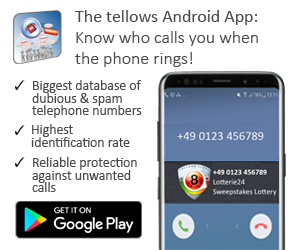 This entry was posted in Weekly Top 3 Spam and tagged annoying, Australia, New Zealand, News, nuisance calls, phone number, scam numbers, spam, statistics, Tellows, Tellows score, weekly update on Friday August 16th, 2013 by Luise.